We were devastated this afternoon when we got the news from across the pond that the always effervescent Peaches Geldof had passed away. The young mother of two, who was only 25 years old, is the daughter of Irish rock star Bob Geldof and has been a fixture on the British society scene with her sister, Pixie, since they were teenagers. But don't be mistaken, Peaches wasn't one for being famous just because she was famous. She made a name for herself writing for Elle, the Telegraph, the Guardian, and Nylon, as well as hosting various television shows in the U.K. The journalist, presenter, and occasional cover girl was also a certified fashionista, most recently sitting front row besides the likes of Pippa Middleton and Rosario Dawson at London Fashion Week. While we've always loved Peaches' wild child, bohemian life and style, we couldn't help but be content when she settled down with her husband, musician Thomas Cohen, and their two sons, Astala Dylan Willow Geldof-Cohen and Phaedra Bloom Forever Cohen. "We are beyond pain. She was the wildest, funniest, cleverest, wittiest and the most bonkers of all of us." "Even if you think you've got it all figured out, some things still can't be explained or understood. Two beautiful children. 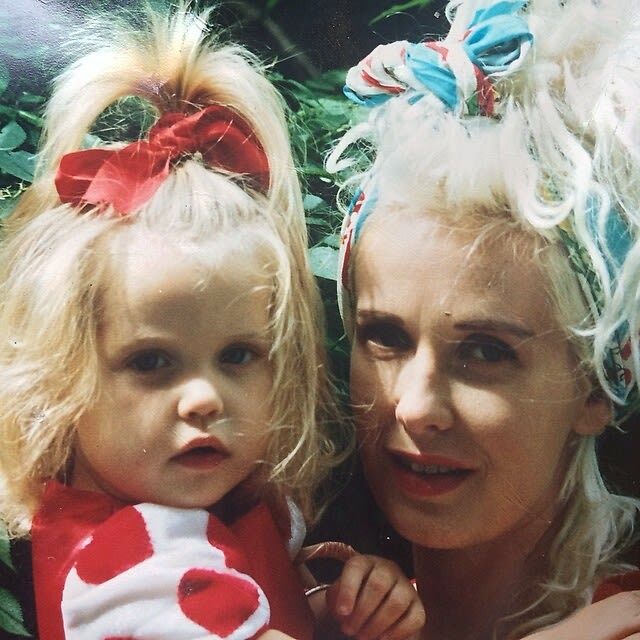 RIP Peaches"
A frequenter of social media, Peaches' last Tweet was an unfortunately ironic photo of herself and her late mother, Paula Yates, whose own early death made a lasting impact on her daughter.